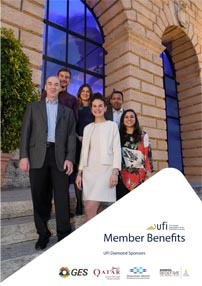 As we land in Mexico for the first UFI LatAm Conference (World Trade Centre, Mexico City, 18-19 September) we do so on firmer ground following last month’s Trump-Mexico trade agreement. “Markets rose in relief when America and Mexico announced on 27 August that they had agreed on changes to the [24-year-old] North American Free Trade Agreement (NAFTA),” published The Economist the day after Trump made Congress aware of his intent. The revised pact between the US and Mexico (America’s third biggest trading partner in 2017) has eased global trade tensions and market uncertainty – for now, at least – with global stock markets rising to a six-month high on 28 August. But it’s not all positive. With pros and cons NAFTA, two-plus decades later, continues to wield debate. And has the pact shaped Mexico’s exhibition industry? As Mexico’s exhibition activity flows in harmony with the country’s stable economic development, to better understand NAFTA’s impact on Mexico’s trade show sector we must first take a closer look at the economic landscape upon which NAFTA exists. Under the agreement the three (US, Mexico and Canada) economies merged, encouraging the free flow of goods by reducing import and export barriers between Mexico and its Northern NAFTA counterparts. Now, after a year of contentious negotiations and threats from Trump to impose tariffs on all car imports (threats still cast toward Canada), the revised US-Mexico pact is less win-win and largely Trumpian. The US President remains focused on accelerating car production in the US, steering production away from his international competitors in the east – and the pact with Mexico is designed to help. Mexico has agreed to make various concessions largely to do with car manufacturing; among these are new rules of origin, for example, car companies must manufacture a minimum of 75% (up from 62.5%) of a vehicle’s value in the US. What’s the long-term economic result of turning the page on NAFTA? Drop in employment for Mexico; a less competitive car market for the US – both are possible. The full text will be out on 30 September (a day after Canada’s cut-off point to join) – and, well the devil’s in the detail as they say. Short-term, however, it has proved positive for government and investors; but is this optimism resonating in Mexico’s exhibition industry? Considering Mexico has the second largest exhibition market in the heterogeneous Latin American market, has the tradeshow industry been affected? One thing is for certain, under Trump’s global trading strategy of maximising US exports over imports, we could see a reduction on US buyers at some of Mexico’s larger tradeshows – automotive and more besides. This doesn’t worry Rafa Hernandez, chairman of CoExpo and the World Meetings Forum in Mexico, who says Mexico’s exhibitions industry is protected because it increasingly works with private companies. Eduardo Chaillo, global general manager (Latin America) at Maritz Global Events, says the tradeshow industry in Mexico continues to grow as a result of the smooth transition in Government and the successful ongoing NAFTA negotiations. Exhibition activity supports Chaillo’s statement, notably with UBM´s acquisition of ExpoMed (Mexico’s leading annual healthcare exhibition) in June this year, and the Tarsus Group buying the remaining 50 per cent stake in its Mexican joint venture with US-based EJ Krause & Associates for a cash consideration of around US$18m. The country will be thankful for the seemingly positive outcome that emerged from Trump’s belligerent negotiations, but it should of course be looking beyond the border to its north to sustain an international exhibitions industry. 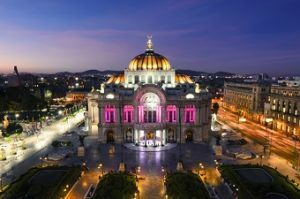 While buoyed by the NAFTA result, AMPROFEC and the rest of the country’s exhibition industry leadership in Mexico City will be just as busy as other Latin American UFI delegates in establishing how they can entice organisers from other markets this week.